It can be tricky to balance needs for new furniture and budget concerns. Summer camp administrators have to deal with this issue every year in order to keep their camps up to snuff for discerning parents. Fortunately, there are plenty of small investments summer camp administrators can make to appeal to potential campers. Here are three simple solutions that can help camps save some money until they’re ready to invest in new summer camp furniture. After years of use, it’s only natural that your mattresses will show signs of aging. The problem is that the parents of potential campers usually don’t care about the plights of aging furniture. It can get quite expensive to replace mattresses every time a cover gets a stain, especially if the rest of the mattress is in perfectly fine shape. Replacement nylon and vinyl mattress covers are a much more cost-effective solution. They make your mattresses look like new and can be resistant to fluids, stains, and bed bugs, all at a fraction of the cost of a new mattress. Like mattresses, cushions can start to look pretty dingy after extensive use. Add in a few spills or accidents from campers and it might be time to freshen up your couches, chairs, and other seating items. This doesn’t mean that you should automatically order some brand new couches. 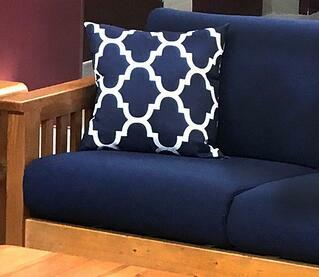 Replacement cushions and arm caps can help you revive your perfectly good couch without nearly as much financial investment. Plenty of storage is an attractive feature for the parents of campers. However, storage furniture can take up a lot of space that could go toward bunk beds. Solve this issue by investing in some sneaky storage solutions that won’t cost you bed space. Storage furniture like hook-on shelves, under bed chests, and trundle boxes can help you add extra storage capabilities that all fit on or under a ladder end bunk bed. That means you can keep those extra few beds without having to sacrifice space. Small furniture investments can help summer camp administrators appeal to new campers without having to stretch the budget every year. That way they can use those funds to invest in new furniture when it’s time to replace old, broken, or outdated items. Whether you’re looking into replacement mattress covers or need to outfit your entire facility with new summer camp bunk beds, we can help. Make a Furniture Concepts Wish List today to get a price on all of your camping furniture needs.